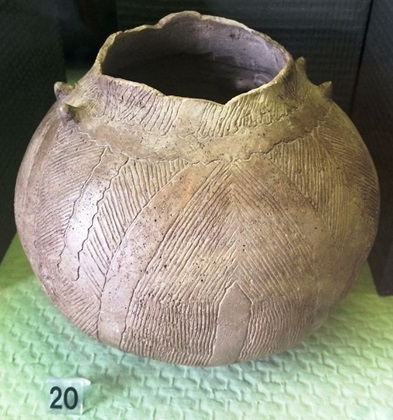 Found on either sides of the Danube River as it flows from Hungary into the Balkans, two major cultures dominated the early Neolithic, these being the Starčevo and Körös, which existed between 8,200 and 6,500 years ago [9-11]. Sites from both cultures have been found across the Hungarian plain and have been typically associated with rivers and lakes . These cultures developed earlier than the linear band pottery cultures that became a dominant culture of early farmers across Europe, and remained distinct for over 1,000 years. Both cultures produced complex bone and stone tools, particularly polished flint, bone spoons, V-shaped ceramic vessels, and art objects such as ceramic animal-shaped altarpieces [13-14]. It is thought that the incised pots made by these people were made at a household level  and would have represented shared family traditions. The first major discoveries of the Starčevo Culture were made in the 1930s along the banks of the Danube near the town of Starčevo, from which the culture gets its name . The site had multiple round dugouts that were likely the foundations of buildings. Within them stone masonry was discovered, as well as artifacts such as beads and weapons. Burials were also found at the site with bodies in a crouched position. The five individuals in this sample came from two sites in present-day Hungary. The site of Tiszaszőlős-Domaháza is located 70 kilometers (43 miles) west of the city of Debrecen, while the site of Törökszentmiklós was further west, being found 18 kilometers (11 miles) east of the city of Szolnok. 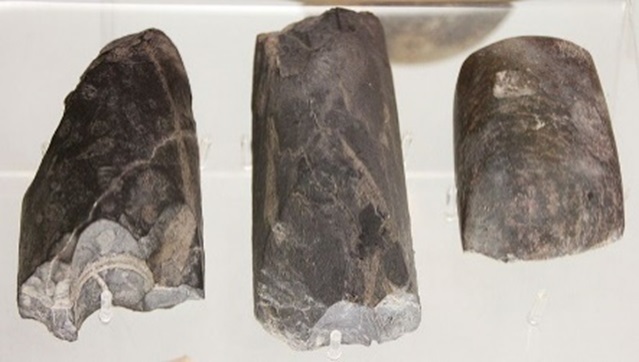 These individuals were carbon-dated to between 7,500 and 8,000 years old . The site of Tiszaszőlős-Domaháza was a small Neolithic settlement on the Tisza river that included a house and some burials, as well as several pits, which contained mussels from the river as well as ceramic vessels . Seven people had been buried at the site, two of whom were sampled here. No grave goods were reported for these individuals, and the bones had been somewhat scattered when archaeological excavations took place. The site of Törökszentmiklós was primarily a Neolithic burial site that included 16 individuals alongside a number of pits [18-19]. No grave goods were reported for these individuals. 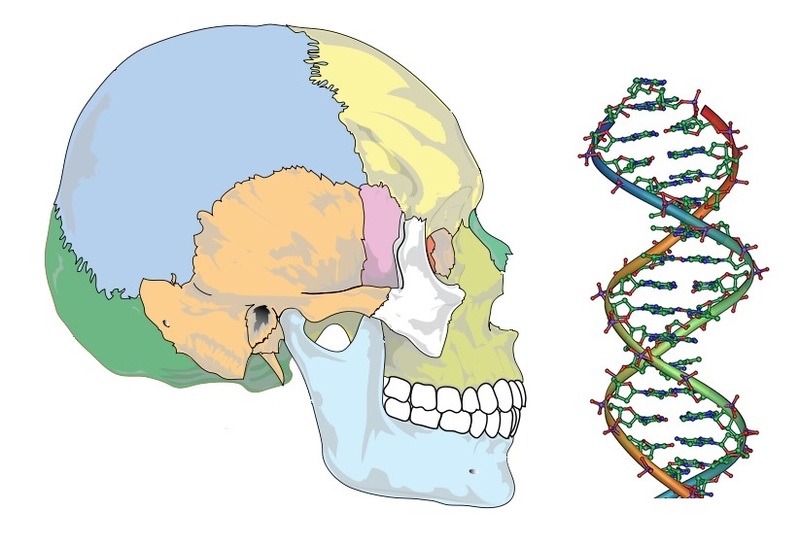 Ancient DNA analysis of this early farming population has shown that these people were strongly connected to early Anatolian farmers with little interbreeding with local hunter-gatherers that still lived in the region. Interbreeding with hunter-gatherers would increase later into the period, as has been shown in analysis of more recent DNA samples from the region . One individual belonged to the mitochondrial H haplogroup which is also commonly found in Europe today and is known to have Middle Eastern origins. It has also been found in Mesolithic hunter-gatherers, and exist in Europe prior to the arrival of agriculture. It is common in Europe today is of Middle Eastern Origin, having been tracked out of Franco-Cantabrian region, and was around in Europe during the Paleolithic . One individual belonged to the mitochondrial J haplogroup, which makes up about 12% of the European population today and is also found in Middle East and North East Africa. It has origins in the Paleolithic around 45,000 years ago and may have come from the Caucuses region . Two individuals belonged to the mitochondrial K haplogroup, which is commonly found in Europe and is thought to have Middle Eastern origins, being brought to Europe during the Neolithic . Of the two males in this sample, one belonged to the Y chromosome haplogroup I, which is a very ancient lineage found in Europe and West Asia, particularly towards the Caucuses. It liked originated in the European Paleolithic and is common today . The other belonged to haplogroup G, which is common in Europe today and is thought to be of Anatolian or Iranian origin .